This is regarding “The Remington 700,” which aired on Feb. 19, 2017. Lesley Stahl is the correspondent. Shachar Bar-On, producer. Alexandra Poolos, associate producer. This is unfortunately extremely poor reporting by Lesley Stahl. What correspondent Stahl failed to cover was that no unloaded rifle can load itself, much less point itself at the head of a human being. It was human intervention that did that, human intervention that came as the result of anger: “a fight.” The young man, Zac Stringer, fifteen years old, loaded his (Remington 700) rifle, as he said, “ And I loaded it. I loaded it with the purpose of scaring him.” Soon thereafter, he blew his younger brother's head off. It didn't stop there, for then Zac retrieved his younger brother Justin's own firearm and placed it between his legs: a clumsy attempt to make it look like suicide. This is, to any sober person, gross negligence, and serving five years in prison for negligence that results in the head being blown off of your younger brother is hardly ridiculously harsh. “That rifle is still being held at the local courthouse. A state forensic expert did test it before the trial, but Hal Kittrell, the prosecutor in the case, says he didn’t know there had been other instances of the gun going off by itself.” Now really, Ms. Stahl should know if the rifle had anything at all to do with the incident, it is available for testing. Although the rifle is being blamed, where is the evidence that this rifle, owned for three years prior to the incident, ever malfunctioned? Did it not seem a wee tiny bit suspicious to anyone at “60 Minutes” that a rifle, that apparently failed to malfunction in any way for three years, all of a sudden just happened to “malfunction” (for the very first time) when negligently loaded, and miserably negligently pointed at a human head at close range? This must be a first: a rifle that only “malfunctions” when it is loaded and pointed at the head of your brother, during a fight. Common sense would demand that the incident rifle be tested, to see if the mystery discharge could be duplicated with that specific rifle, prior to a “60 Minutes” report. Yet, since 2011, the rifle has not been properly tested. What is the excuse for not doing this? Further, what is the excuse for injecting a “cold weather” story in this report? Was it cold indoors, in Mississippi, when the “60 Minutes” lead incident occurred? It is irrelevant to the primary story. The relevant part, whether the actual rifle used has problems, or not, was apparently completely ignored. This is an example of “investigative journalism,” lacking the reasonable investigation and high journalistic standards portions. It is not a coherent or logical report. No responsible journalist could launch a story based on a Remington 700 rifle that allegedly malfunctions once in three years, only after loaded by a young man who pointed the loaded gun at the head of his brother indoors during a fight, blowing his face off. No responsible news program could run such a story remaining clueless about the incident rifle itself. It is an astounding level of ignorance, for anyone with the curiosity of an earthworm would have the rifle tested to see if any actual issue can be found. Yet, after all this time, the fact-free journalism persists: six years later, “60 Minutes” and everyone else is unwilling or unable to find any defect. 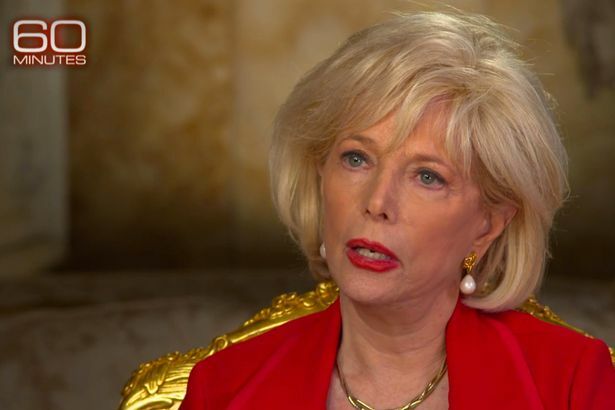 “60 Minutes” and poor Lesley Stahl didn't so much as bother to look. There are serious defects here, however: the defective minds of Lesley Stahl and “60 Minutes.” Defective enough to publish an “investigative” story, lacking rudimentary investigation. “60 Minutes” and Lesley Stahl have shot themselves in their collective feet: they didn't know that their story was loaded.